A major gambling expansion bill was supported by the Connecticut House. This would allow Indian tribes in the state to operate a new casino that would be located in East Windsor. The new agreement comes not long after another agreement was reached with regards to gambling. This particular bill entails the addition of more off-track betting parlors around the state. This was all passed before the end of the year’s legislative session. The House endorsed the move to expand gaming as the Mohegan and Mashantucket Pequot tribes have been aiming to get into the gaming industry themselves. Although those tribal groups have been steadfast in their efforts to try and get into the industry, there has been some dispute with the MGM Resorts International group over how this would be passed. There has been concern from MGM that the new efforts to get into gaming would directly compete with the MGM Springfield resort that is slated to open in 2018. The new bill in Connecticut has an entertainment sharing agreement that will be supported by the Mohegan Sun and Foxwoods casinos. The tribes that run these two reached an agreement with regards to how casino operations are to be run in the state and what will be offered in general. Most members of the House approved of the bill with 103 positive votes going against only 46 negatives. This was particularly the first part of a bill with the second part allowing for more off-track betting centers in the state while possibly setting the stage for sports betting activities to come about later. Sportech Venues has been supported with efforts to get more off-track betting centers added in the state. 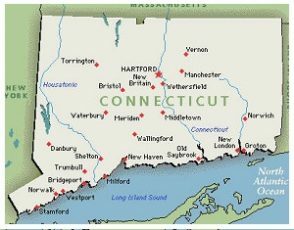 There would be a total of 24 such locations around Connecticut thanks to the passage of the legislation. This is all anticipated as being a major development which allows gambling to be more accepted and prominent around the state. It is a dramatic change from the prior year as there had been some concerns over whether or not such casino bills would actually be passed over time. MGM is expected to make a response over what is happening here versus the plans that MGM has for operating more gambling functions in Springfield. MGM is still aiming to stick with its current schedule for completing its ongoing casino project. This includes working to hire people who can work at the gambling space that is to open. There are also worries about the legality of tribes around the state operating their own gambling spots based on the lands being used. In particular, they are being allowed to develop their spaces on non-tribal grounds. This could result in some dramatic legal challenges depending on what might come about. The legislation still gives off the impression that there will be a great amount of effort in Connecticut to make gambling more acceptable. This comes from all forms of the pastime being made legal and becoming more prominent for all people to get into.